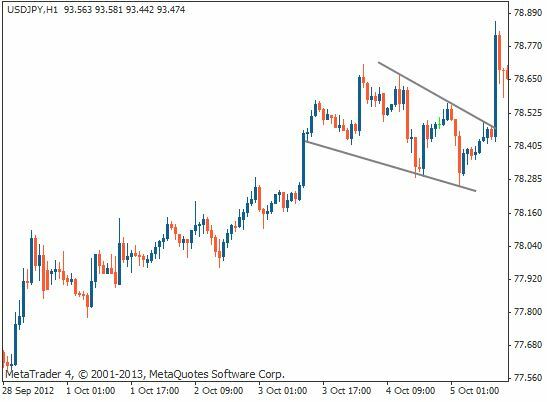 The falling (or descending) wedge can also be used as either a continuation or reversal pattern, depending on where it is found on a price chart. 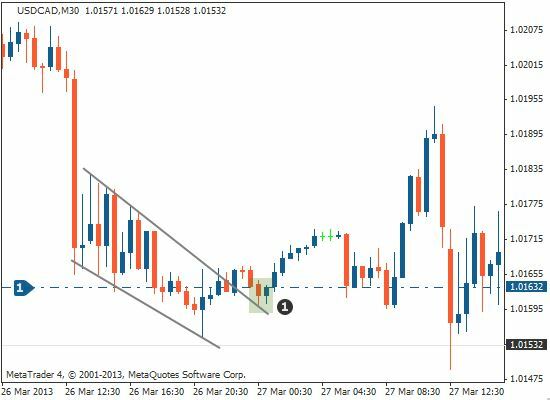 This lesson shows you how to identify the pattern and how you can use it to look for possible buying opportunities. 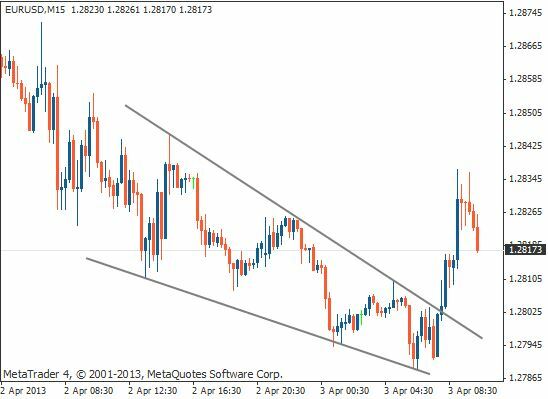 If the falling wedge appears in a downtrend, it is considered a reversal pattern. 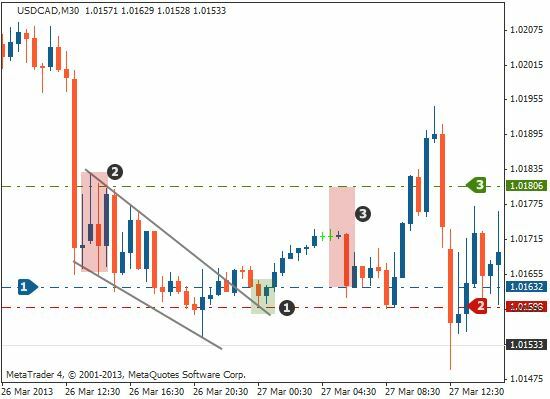 It occurs when the price is making lower highs and lower lows which form two contracting lines. The falling wedge usually precedes a reversal to the upside, and this means that you can look for potential buying opportunities. 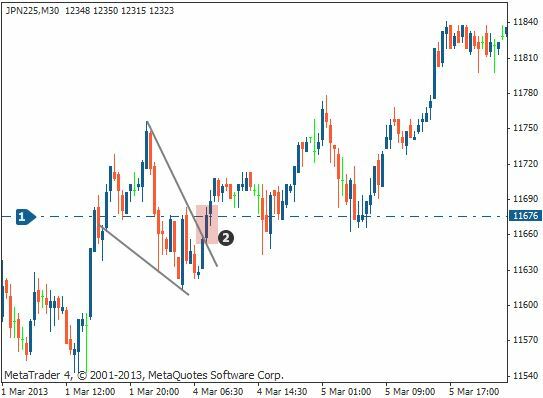 A falling wedge found in an uptrend is considered a continuation pattern that occurs as the market contracts temporarily. 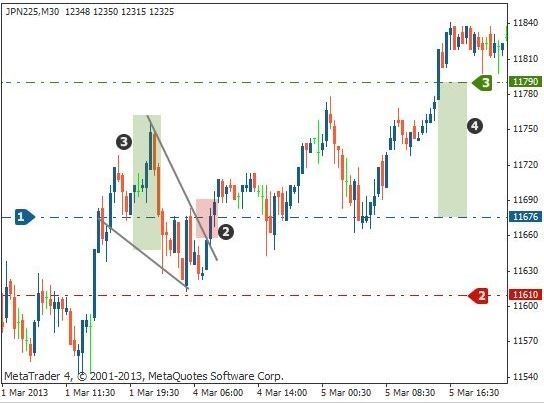 It indicates the resumption of the uptrend. 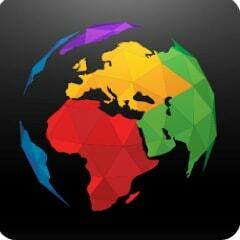 Again, this means that you can look for potential buying opportunities. 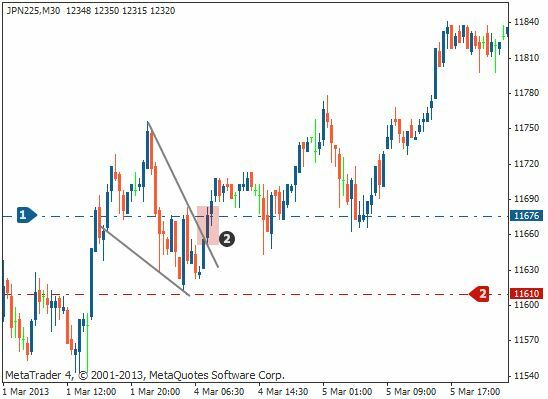 Once you have identified the falling wedge, one method you can use to enter the pattern is to place a buy order (long entry) on the break of the top side of the wedge. In order to avoid false breakouts, you should wait for a candle to close above the top trend line before entering. The chart below shows where to place the stop loss. This should be placed below the bottom side of the falling wedge. Finally, the last chart shows the profit target. This is measured by taking the height of the back of the wedge and by extending that distance up from the trend line breakout. 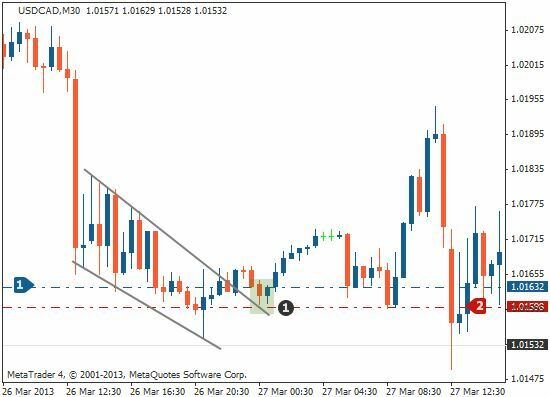 The second way to trade the falling wedge is to wait for the price to trade above the trend line (broken resistance), as in the first example. Then, you should place a buy order on the retest of the trend line (broken resistance now becomes support). … the entry (buy order) is placed when either the price breaks above the top side of the wedge, or when the price finds support at the upper trend line. … the stop loss is placed below the back of the wedge.